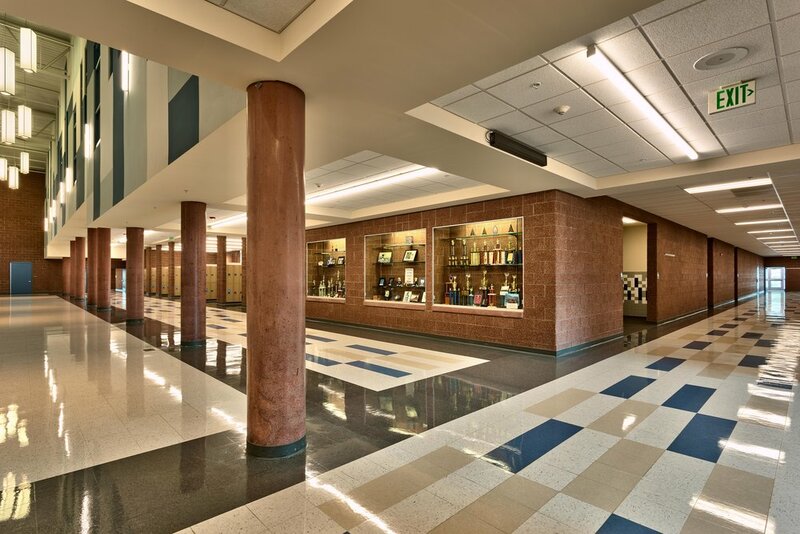 The Granger High School project is a 412,000 square-foot campus building costing 66 million dollars. The vertical and lateral force resisting systems are reinforced Atlas brick and masonry walls. 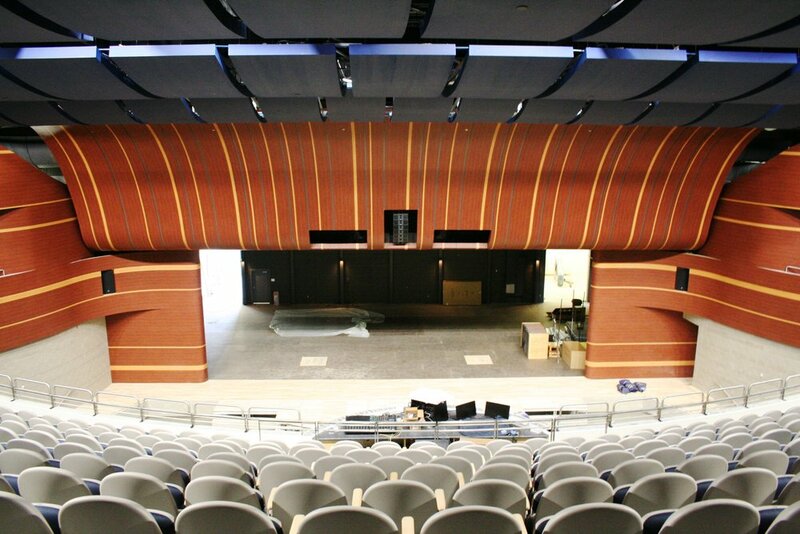 The building is comprised of an auditorium, classroom wings, common area, performing arts wing, gymnasium with a pool, administration and medical area, and shops. Pictures Courtesy of NWL Architects. 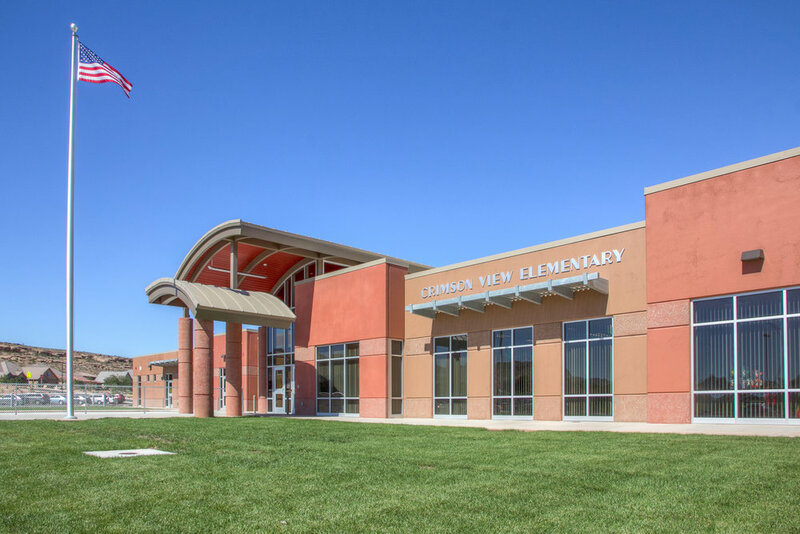 Washington County School District's Crimson Elementary is made 100% of load-bearing Tilt-Up panels. The front entrance boasts a high and low curved roof. Steel columns sit on top of the clear story, and there are eyebrows over the windows, which required creative engineering to hide the connections for a cleaner look. The project consists of a 170,000 square foot, three-story structure. 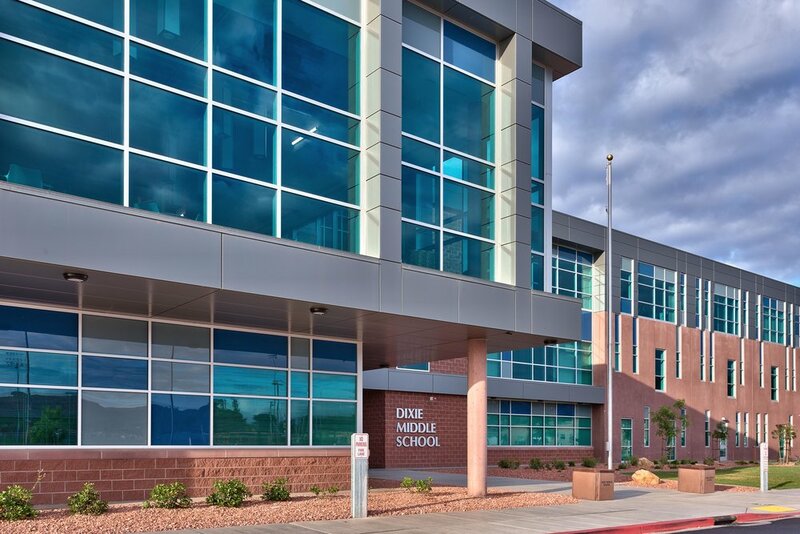 It will be constructed similar to Hurricane High School which is open web steel floor and roof joists, load bearing reinforced masonry, concrete tilt-ups, and steel frame in some places. We assume that the foundation system will be conventional spread footings. 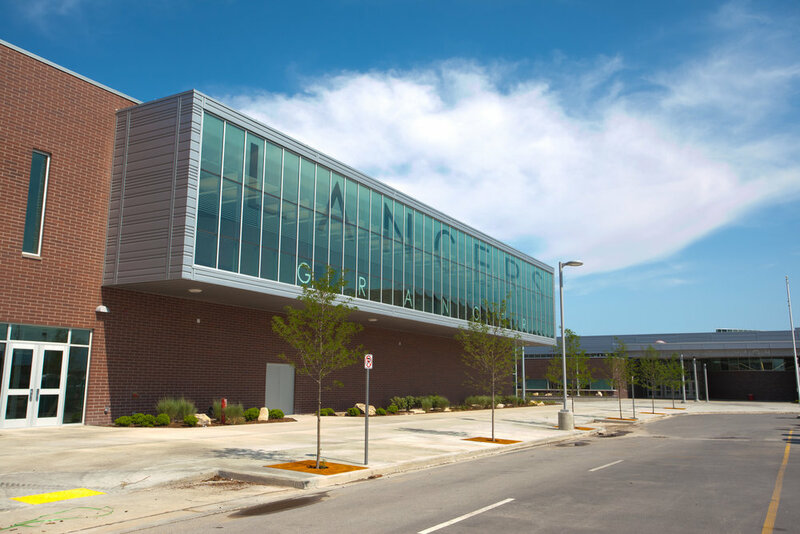 This facility was constructed with open web steel roof and floor joists bearing on load bearing reinforced masonry walls. The main classroom wing is a two story structure with clerestories to allow natural lighting. The gymnasium was built large enough to have four courts to be used simultaneously for city recreation teams. There is a second story balcony coming out of the media center that overlooks the common area.